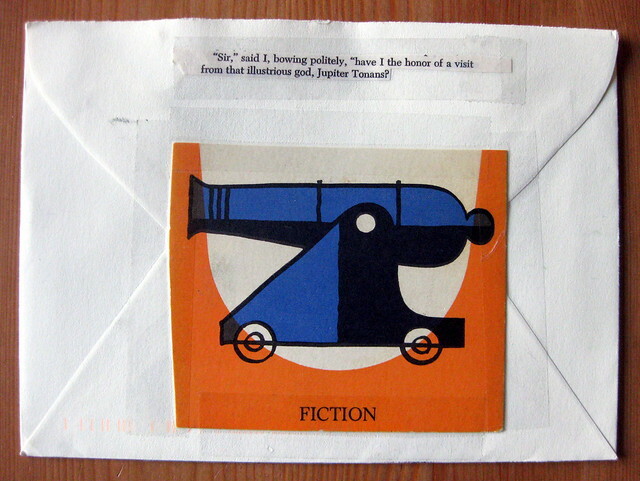 I recently went to a party hosted by a new friend, who mentioned he's into letter writing and mail art. So of course I sent him a pretty fancy thank-you for the evening's fun (and I'm kicking myself that I didn't photograph it, because it was my first fine piece of my own mail art in 2014, but oh well), and he wrote back immediately with this creative offering. It's a letter on a two-dollar bill! I got one heck of a kick out of that fun idea. I've received a lot of letters on lots of different items, but this is my first time getting a letter written on currency. Cool. ... and he included this lovely postcard. It looks to be original artwork, hand-drawn and painted, and I wonder if he did it himself. I'll have to ask him, in my response. 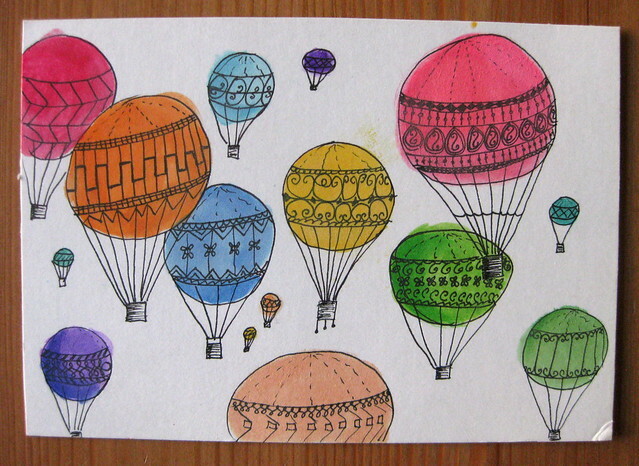 To answer your question, that illustration was not done by me, but by one of my penpals, who sent me several to use! My letter writing has laid dormant for a while, but now I'm all excited to start again. See you at P&P on Sunday! Oh wow, how lovely that your pen pal sends you hand-illustrated works. Yay for excitement over restarting letter writing, and yay for seeing you at P&P Sunday! Snail mail is definitely funner than an email. I actually just bought bags of party favours to make up birthday party packages for three of my cousins birthdays this month. If you want more fun, head over to http://lettermo.com for the Month of Letters challenge.